IMatch includes a flexible backup and restore tool named Pack & Go. 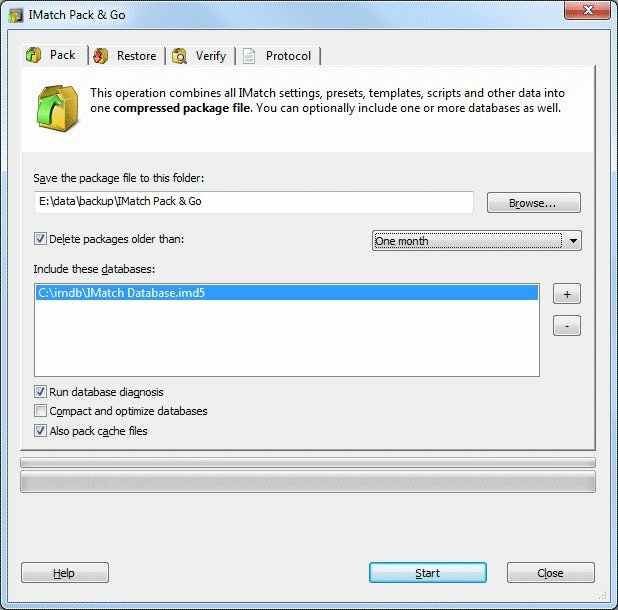 The purpose of Pack & Go is to transfer IMatch databases, settings, scripts, presets, cache files and other IMatch data from one PC to another – ideal when you use IMatch on a PC at home and on a notebook while on vacation or on location. 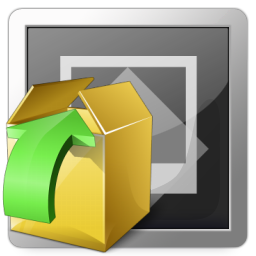 Pack & Go combines all backed up files into a compressed and secured archive package. These packages can be versioned, which makes it easy to keep multiple backups available. Pack & Go is also able to run database diagnostics and compress operations on-the-fly while creating the package. Very convenient. You can run Pack & Go directly from the Windows START menu or a shortcut placed on the desktop or task bar. The user interface is easy and explained in full detail in the IMatch help. Once configured, you can backup, verify and restore packages with a single press of a button. If you work with the digital asset management system IMatch on multiple computers not connected to the same network, or you just want to transfer IMatch settings, databases, presets, scripts and other files quickly and easily, give Pack & Go a try.